The settlement only applies to cases that have required revision surgery by November 2, and given the high failure rate with Stryker Rejuvenate hips, it is expected that new cases will continue to be filed over the next few years, and it is possible that additional settlements will be reached. Stryker recalled their Rejuvenate and ABG II devices in July 2012 after warning surgeons that the implants could damage tissue around the hip and cause other significant health problems. There were more than 20,000 of Rejuvenate and ABG II implants sold before a Stryker recall was announced. Stryker settled before facing multiple trials over allegations that their hips had fundamental design defects and that the company failed to warn patients about the devices’ risks. According to a report in The Journal of Bone and Joint Surgery (May 15, 2013), that studied 12 hips in 11 patients who underwent total hip arthroplasty with a modular femoral stem design by Stryker Rejuvenate, there are problems with metallosis with the hip design. Upon revision surgery, all 11 patients showed local soft tissue destruction with visible corrosion at the femoral neck-body junction. There was increased levels of chromium, cobalt and titanium in their blood, which indicates metallosis. This new research indicates that patients implanted with the recalled Rejuvenate and ABG II Modular-Neck Hip Stems should be evaluated for local tissue reactions and blood testing to ensure their hips are functioning properly and to prevent further complications such as metallosis. The Stryker Rejuvenate and ABG II hip implant consists of a titanium-molybdenum-zirconium-iron alloy body connected to a modular cobalt-chromium alloy neck. The Stryker Rejuvenate is subject to fretting, corroding and finally failing shortly after it is implanted. The Stryker Rejuvenate has two components that fit inside of each other to allow the surgeon to adjust the length of the femoral component based on the patient’s size. This design has been associated to an increased risk of metallosis that occurs from the release of metal debris as the chromium-cobalt neck grinds against the titanium femoral stem. 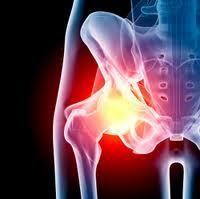 Catastrophic hip failure and the need for early replacement is not a question of if, but a question of when. The lawsuits in the state and federal court litigation have similar claims, alleging that the Stryker Rejuvenate hip implant was defectively designed and unreasonably dangerous, causing patients to develop early hip failure, pseudotumors in the hip joint, pain and suffering and metallosis side effects that resulted in the need for risky revision surgery. Metallosis is an adverse tissue reaction to heavy metals in the body. It can cause pain, limited mobility, failure of the hip joint, pseudo-tumors, dissolution of the bone, DNA changes and chromosomal aberrations. Almost 2,000 cases are pending in the federal court system, and consolidated as part of an MDL, or multidistrict litigation. The federal case is In Re Stryker Rejuvenate Hip Implant Products Liability Litigation, 13-mdl-2441, U.S. District Court, District of Minnesota (St. Paul). Consolidated pretrial proceedings have been established in New Jersey state court, since is the corporate state for the hip manufacturer, Howmedica Osteonics. The New Jersey litigation has been centralized before Superior Court Judge Brian R. Martinotti in Bergen County as part of a Multi-County Litigation (MCL). Here also almost 2,000 cases are pending. The New Jersey case is In Re Stryker Rejuvenate and ABG II Modular Hip Implant Litigation, 296 BER-L-936-13, Bergen County Superior Court (Hackensack).